Things to do / Things to do Around Town. The Turn Verein Strikes Again! This event is one of our favorites. You are a fool to miss it! 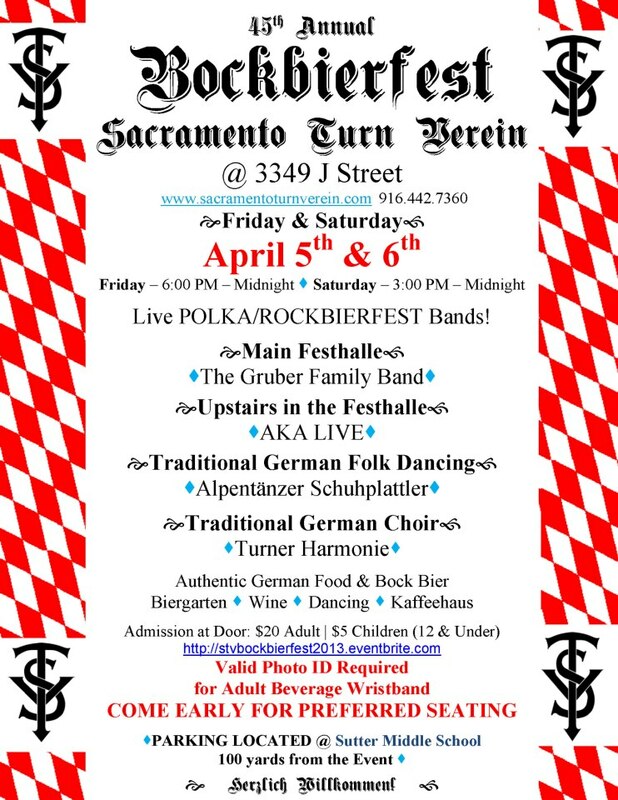 Tags: aka live, beer, bier, biergarten, food, fun things to do, german, german choir, german folk dancing, polka, rockbierfest, Sacramento, the gruber family band, things to do, things to do sacramento, turn verein, turnverein, wine. Bookmark the permalink.